Until the last quarter of 2017, Kenya was littered with polythene carrier bags. Hardly a day would pass without millions of papers being dished out to Kenyans from the various shopping outlets. However, this scenario has changed. It’s not easy to be given a polythene bag at the Kenyan shopping outlets. On 28th February 2017, the Cabinet Secretary, Ministry of Environment and Natural Resources while exercising powers conferred under section 3 and 86 of the Environmental Management and Coordination Act (EMCA Cap 387), issued the Gazette notice No. 2356, banning the use, manufacture and importation of all plastic bags used for commercial and household packaging. The gazette notice notified the public that this ban will take effect from 6th month from the date of the notice. The plastic bags ban came into effect on 28th August 2017. Since this date the Ministry of Environment and Natural Resources (MENR) and the National Environment Management Authority (NEMA) have been working collaboratively to enforce the ban through diverse interventions as listed below. Enforcement of the polythene bags ban required many interventions which had to be appropriately sequenced. In this regard, NEMA had to develop an elaborate enforcement strategy capturing different activities, players and timelines. The strategy was also crucial in resource mobilization to support the ban implementation. • Kenya Airports Authority committed to procure bins and confiscate plastic bags at the airports from travellers entering the country. • Ministry of Health agreed to stop use of the plastic bags and to seek exemptions from NEMA in areas where it was not possible to use alternative packaging. • Ministry of Transport and Infrastructure committed to provide sites for waste disposal and ensure public service vehicles had waste disposal receptacles. Involving other institutions was critical to secure buy in from wider public corporates who are affected by the ban in one way or another. Their support implied that these institutions were already committed to embrace best environmental practices. Media houses such as TV and radio through talk shows and interviews. Newspaper supplements to explain every step of the ban and enforcement. Development, printing and dissemination of publicity materials such as brochures, posters, flyers etc. Uploading and regular updating of Frequently Asked Questions (FAQs) on NEMA website (nema.go.ke). Uploading documentaries on polythene bags on YouTube, Facebook and Twitter. c. Enforcers such as Kenya Revenue Authority, Kenya Bureau of Standards and County governments. g. Informal groups involved in waste management activities in the entire cycle – transportation, storage, treatment/recycling and final disposal. During these meetings NEMA secured the support of these diverse stakeholders to ensure success of the ban. The meetings were also used to clarify any outstanding issues regarding what was banned and the role of each stakeholder in ensuring the success of the ban. It was noted that some stakeholders especially the regulated community were not satisfied with NEMA responses. These stakeholders proceeded to make appeals to the Ministry for intervention. The Ministry played the role of an arbitrator. MENR and NEMA were keen to ensure Kenyans were aware of what alternatives to use once the ban was enforced. In this regard, on 23rd – 24th August 2017 (4 days to the ban effective date), the Ministry organized an exhibition on alternatives to the polythene bags at Kenyatta International Conference Centre. 42 companies exhibited and many people attended the event. The exhibition was a joint venture between the Ministry and Nation Media Group who provided a lot of media coverage for the event through television, print and social media. During the first day of the exhibition, a two hour live interview was done on NTV television to explain more about the ban. Experts from diverse institutions participated as panelists but there was general consensus that the polythene bags ban was a move in the right direction for Kenya. Other exhibitions were held in different towns such as Ngong and Isiolo and were sponsored by other institutions. These later exhibitions focussed more on the “Kadogo (small items) economy” since majority of Kenyans living below the poverty line buy goods in smaller quantities. The exhibitions were therefore deliberately customized to prove that there were alternatives available to handle packaging of smaller items. The outcome of these exhibitions was upscaled awareness on the ban including the alternatives available for use. The exhibitions helped to demystify the fear that Kenyans would suffer shortage of packaging material after the ban became effective. NEMA had to engage the regulated community directly to ensure compliance with the ban. In this regard, NEMA served notices to manufactures, importers and large consumers such as supermarkets to submit their compliance plan to the plastic ban. They were also expected to declare stocks held by them by the time the ban takes effect and to send a copy of the same to the Kenya Association of Manufacturers (KAM). Some of the members of the regulated community argued that their products needed to continue using the polythene bags. For them to be allowed to do so, NEMA demanded that they make a formal application and submit samples of the polythene bags they would be using. This was analyzed keenly by NEMA and those found not to have suitable alternatives were allowed to continue using the polythene bags. However, many of the applications were rejected since NEMA felt that alternatives were readily available. By end of January 2018, NEMA had received 2598 applications for request for exemptions, of which 1528 were exempted, 1136 rejected while others had pending issues being considered. Implementation of the polythene bags ban demanded that governance structures be established and strengthened to enhance decision making. There are four layers of governance that assist in the ban implementation. Director General NEMA – leads the enforcement aspect of the ban and is overall in charge of all approvals and enforcement. Advisory committee – Comprises of Senior management staff of NEMA and are in charge of providing guidance on overall aspects of implementation on the ban including awareness creation, research, compliance and enforcement. The committee also constantly monitors implementation of the ban and advises the Director General on appropriate course of action. Compliance committee – Comprises of NEMA inspectors and they are in charge of considering applications for polythene bags exemptions. Appeals committee – comprise of NEMA senior enforcement staff and are in charge of considering appeals from companies who are denied exemptions to use the polythene bag. This committee advises the Director General on final decisions to be taken regarding the application for exemptions. Technical Committee – It is chaired by NEMA and its members drawn from the MENR, NEMA and KAM. Many issues emerged after commencement of implementation of the ban. 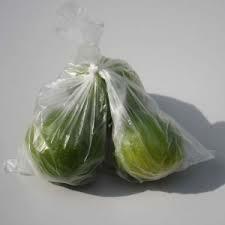 It was realized that there were diverse products that were wrapped using the polythene bag. The manufacturers raised numerous concerns, many of which were technical in nature. Some of the stingy issues included primary industrial packaging, manufacturing plastic bags for export; exemptions on polythene bags and labelling. These issues were very technical and hence required to be addressed by a technical team. This team meets regularly and presents their recommendations to the policy making committee. Policy making Committee – This committee is chaired by Principal Secretary Environment. The other members include Principal Secretary Industrialization and Investment; Director General NEMA and senior management of the Kenya Association of Manufacturers (KAM). Their responsibility is to receive reports from the technical committee and make decisions on ban implementation. NEMA wrote letters to other regulators such as Kenya Revenue Authority (KRA), Kenya Bureau of Standards (KEBS), and County Governments to submit to NEMA any information on the importers of plastic bags. NEMA also liaised with county governments for cooperation in effecting the ban since waste management is a devolved function. It is crucial to collaborate an intervention of this nature with research. This would help to inform effectiveness of the intervention and suggested areas of improvement. In this regard, NEMA researchers were committed to track implementation of the ban. In addition, NEMA sought collaboration with research arms in other government agencies to capture wide range of data on effectiveness of implementation of the ban. For instance, Kenya Meat Commission researchers track presence of polythene bags in the lumen of livestock that they slaughter. NEMA however collates the data from diverse sources for use in final decision making. Effective implementation of the ban required enhanced capacity of the enforcement team. In this regard, capacity building meetings were held for all NEMA County Directors of Environment (CDEs), Office of the Director Public Prosecution (DPP) and Magistrates. The same was extended to officers from County governments. The main areas of coverage included crime identification, development of case files, prosecution and passing of judgement. Although use of polythene bags was diffused throughout the country, there were only a few manufacturers and suppliers of the same. It was felt that concentrating enforcement interventions at the source of these carrier bags would be more cost effective. Hence NEMA embarked on an exercise of mapping of all entities dealing with plastic bags manufacture and importation. These were categorized as the hot spots which needed to be drained and closely monitored for effective implementation of the ban. NEMA has inspectors throughout the country. These inspectors undertake regular surveillance to ensure compliance with the ban. The inspectors are mandated to draft criminal charges applicable to the offences related to the non- compliance to the ban. They prepare case files for presentation to the prosecutors in court. Since the commencement of the ban, NEMA had successfully made 165 arrests across the country by the end of January 2018. Those arrested include the manufacturers, distributors and vendors. At the court some offenders were compelled to pay hefty fines of upto Kshs 100,000. Thank you for enlightment. Though the banned plastic bag are in market again. Where is regulating bodies? Where are the coming from? The polythene bags in our shopping outlets are few and come through our porous borders through illegal imports. But we are glad Tanzania has now banned the single use carrier bags from June this year. This means one source of plastic bags will be blocked. We hope Uganda will follow and ban polythene bags soon. We are confident that we are winning this war on polythene bags. I agree with you, however I feel there is more to be done. More awareness on all media and progress reports, that will help us to stop using this papers. Let us publicize the war on plastic bag like we are doing on corruption. May we use our vernacular radios to train, remind and warn Kenyans about use of banned plastic bags. May we hear the voice of enforcers, they are so silent. I propose the ongoing court cases and finalized case be known to mwananchi. ← What Plastics Are Recyclable?